When was the last time you said you'd exercise? Did you? 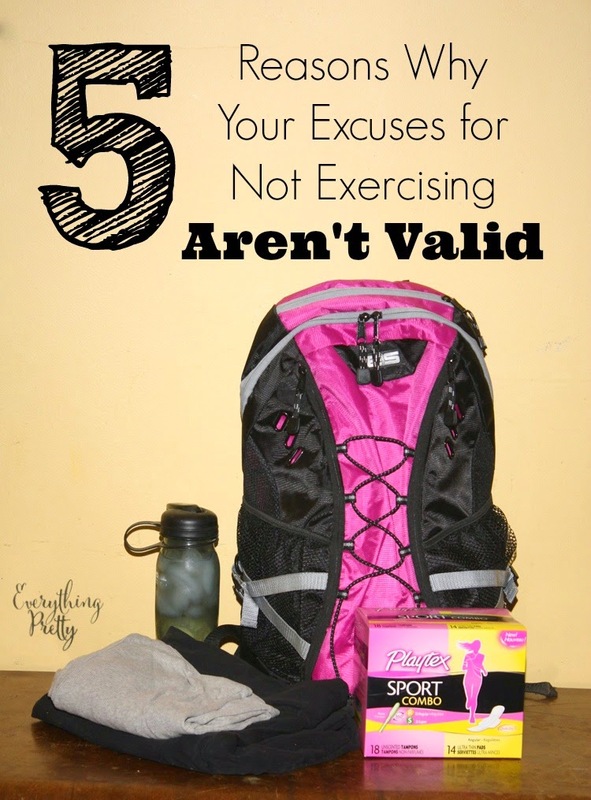 Are you like me and have several excuses why you can't exercise? I'm pretty creative, so I can always come up at least three reasons why I can't exercise. Deep down, I know they aren't valid. With my readers as my witnesses, I will debunk my excuses for not exercising. Just like you and every other mom, I have a full calender. I have something planned nearly every day, so where do I find the time to exercise? For that matter, where do I find the time for anything? I don't. I have to make time. Just like I schedule scout activities and church meetings, I have to schedule time to exercise. I don't just schedule the day but also the time. If it's not on my calender, it's not happening. So now it happens. Of course I'm tired. I'm not getting enough exercise! I know that exercising in the morning gives me energy all day, so that's a terrible excuse for me. I sleep better at night on the days I exercise, so it's really important to get active. I used to use this one every month. I hurt, I'm bloated, and I hate dealing with leaks. Then I discovered Playtex® Sport® combo packs. They're available in combo packs with tampons and either liners or pads, and they all have the Flexfit™ design to prevent leaks because it twists and turns with your body. Playtex® Sport® Ultra-Thin Pads with Wings have an anti-leak core that pulls fluid inside and traps it while the wings keep it in place. It also has Odor Shield™, so I don't have to worry about odors. 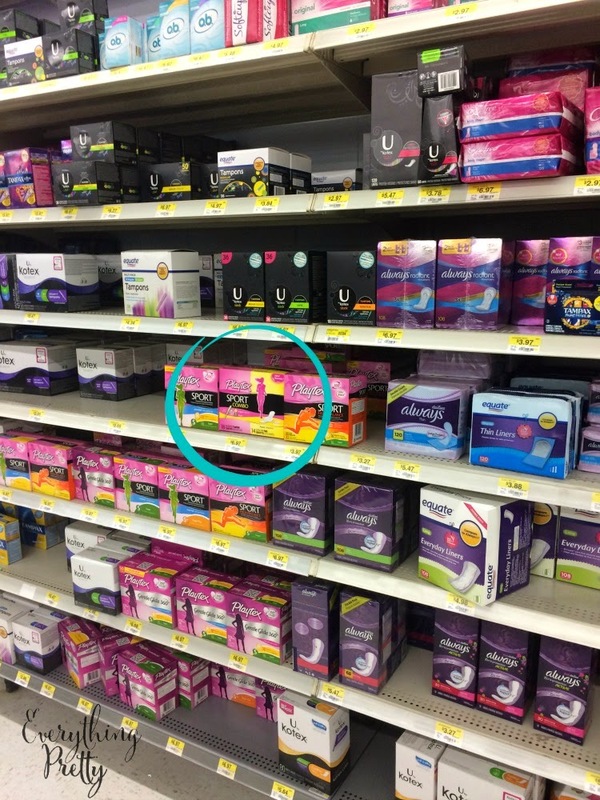 You can find them at Walmart with the feminine hygiene products. Mine were on the shelf with other products, but some stores have them in a special display. When my kids were young, this was my favorite excuse. I didn't want to leave them with someone so I could go to the gym, and my husband worked long hours. I bought some DVDs and started working out at home. It was a little difficult when they were babies, but when they got older they started working out with me. They would try to mimic the moves, and they thought it was a lot of fun. When they got even older, we started biking and walking together as a family for exercise. We love the family time, and we all need some exercise. I've got to admit: Working out isn't my favorite thing to do. I'm just not a naturally athletic person. But I do realize that I feel so much better physically and emotionally when I stick to a schedule, so that gets me through the hour. I also try to make it fun by listening to fast music. When I had a treadmill in the house, I used to catch up on my favorite TV shows while I walked. We go for walks around the farm in the evenings as a family, and that is fun family time. I do enjoy being with the kids and my husband exploring and talking. I'm ready to exercise. Are you?